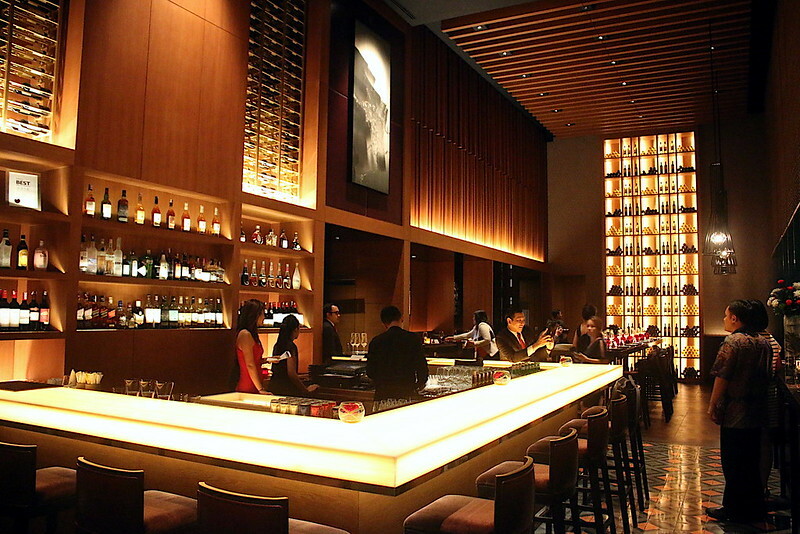 The Savoy, London, brought its magic to Jakarta in a burst of events last month at the Fairmont Jakarta. Executive Sous Chef Francisco Hernandez and his team whipped up a British Gourmet Dinner featuring signature classics from the Savoy's fine-dining legacy. 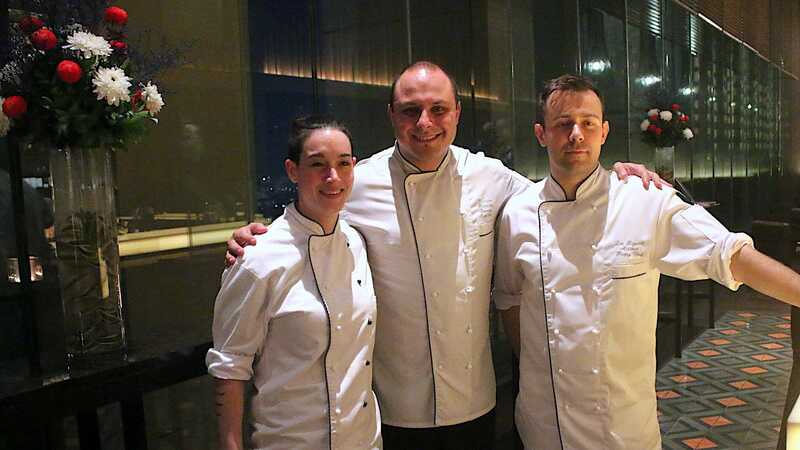 The dinner took place at The View, a trendy restaurant so named for its spectacular skyline views. 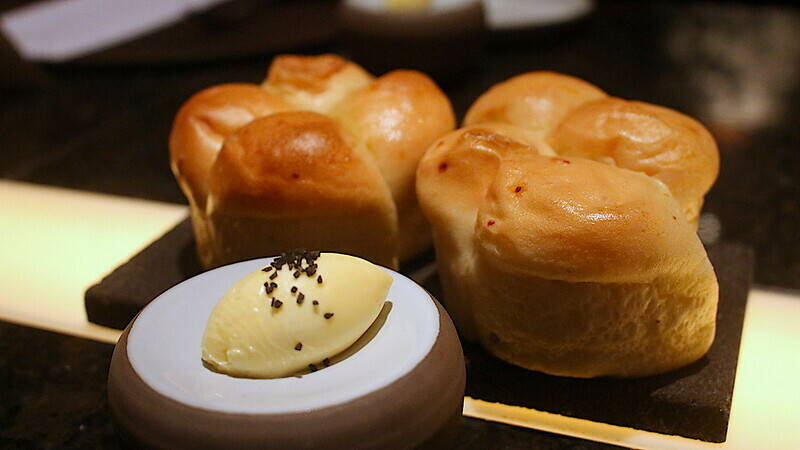 The evening began with soft brioche and butter. 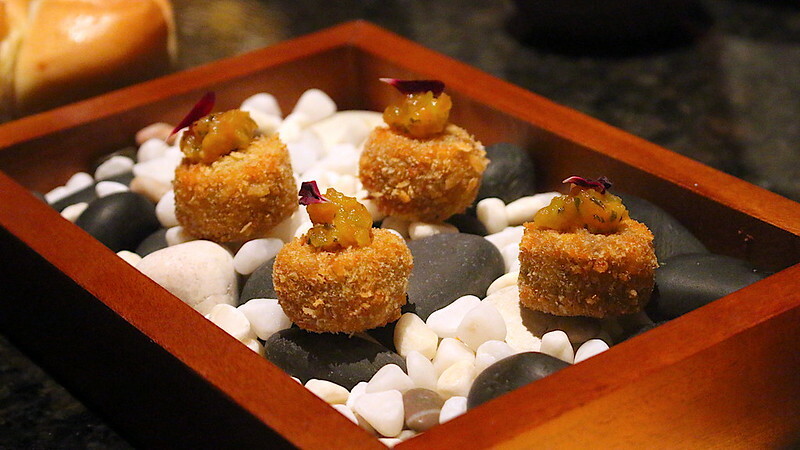 The amuse bouche of salmon croquettes topped with a fruity salsa proved to be a most savoury appetiser. You immediately wished for more. 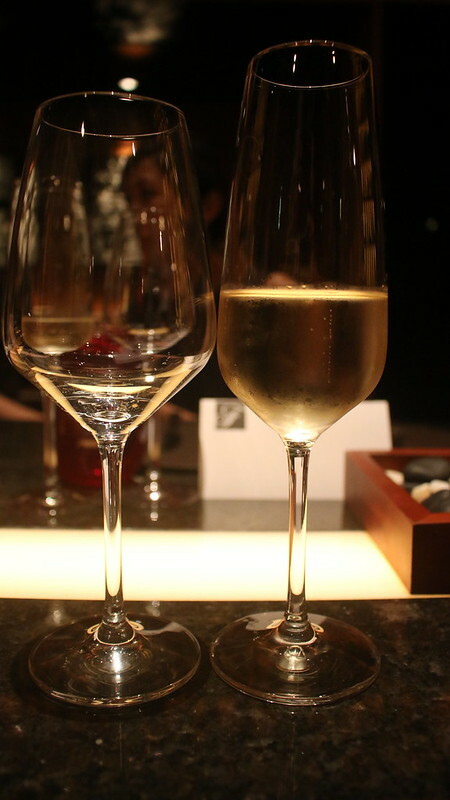 The five course dinner was paired with wines like Mumm Cordon Rouge Reims, France; Wyndham Estate bin 222, Chardonnay, 2014; and Wyndham Estate Bin 555, Shiraz, 2013. 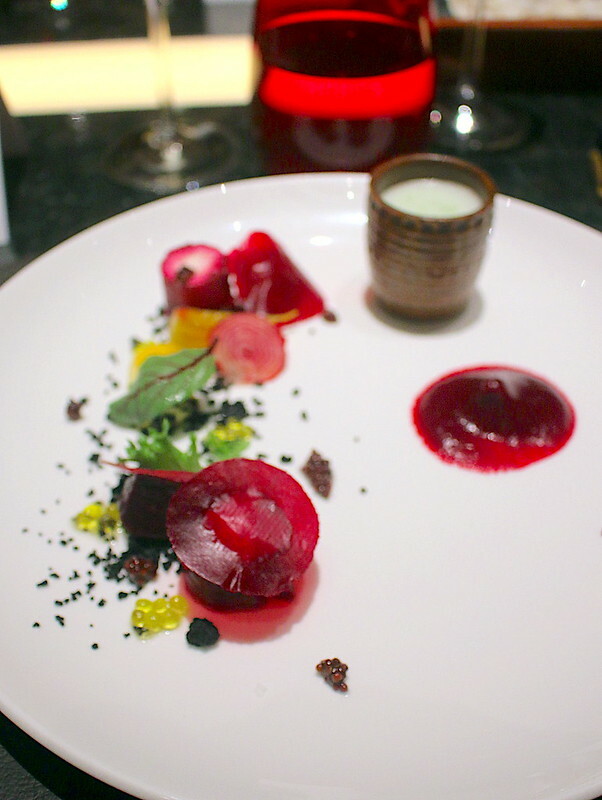 The first course arrives looking like an artistic garden; the ingredients reminded me of Julien Royer's Organic Beetroot Composition when he was at JAAN. This one had pickled mustard seeds, balsamic caviar and a shoot of cucumber essence. Venus rising from the sea amidst the salty foam? 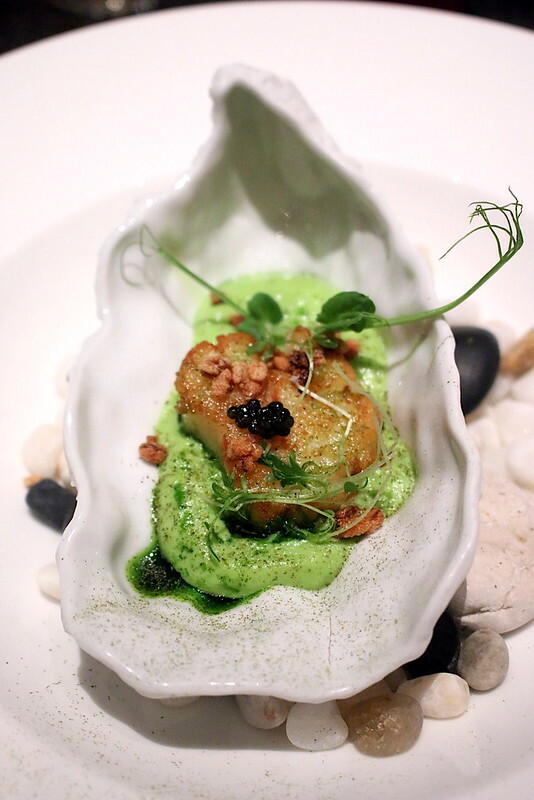 This is a delightfully seared scallop nestling on English Pea espuma, with parsley oil, puff citrus pearl barley and water cress dust. Absolutely beautiful. Oh this dish completely wowed us. 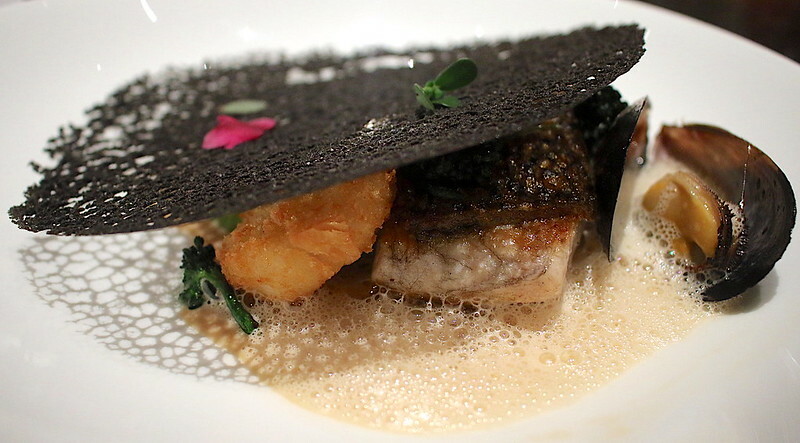 How the fish beckoned from underneath the squid ink tuile, one deep-fried and the other pan-seared. The dainty accompaniments included mussel and fennel nage, asparagus mousse, sprouting broccoli, sea vegetables. This is certainly a British classic and it's easy to see why it's a well-loved one. 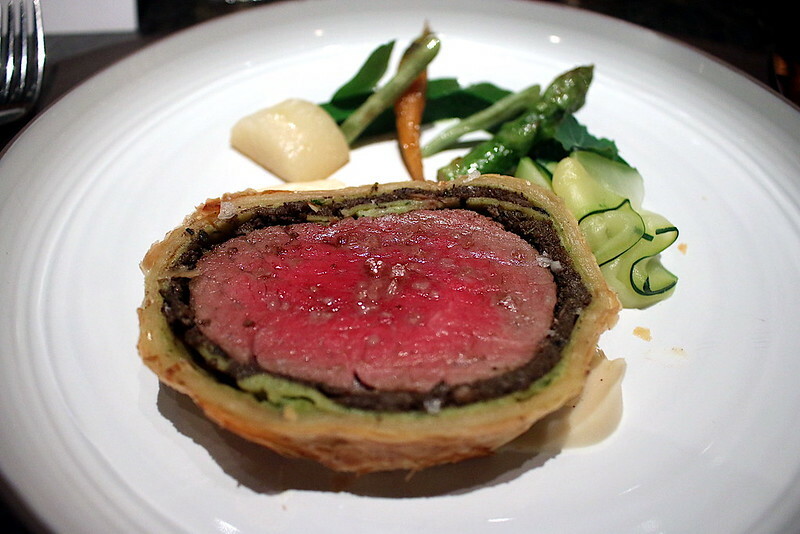 In this version, the beef is served with seasonal vegetables, celeriac puree, and spinach flan. It's then doused with some good old HP gravy. 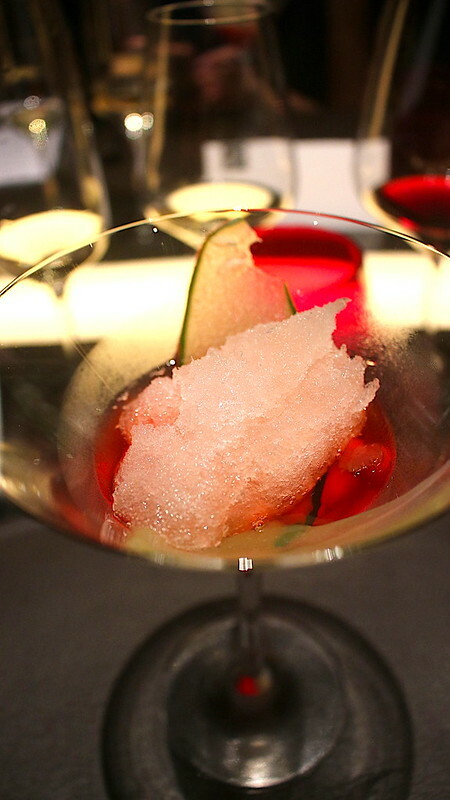 This palate cleanser is made extra refreshing with fresh cucumber, diced strawberry and orange gel. Dessert was a show-stopper. 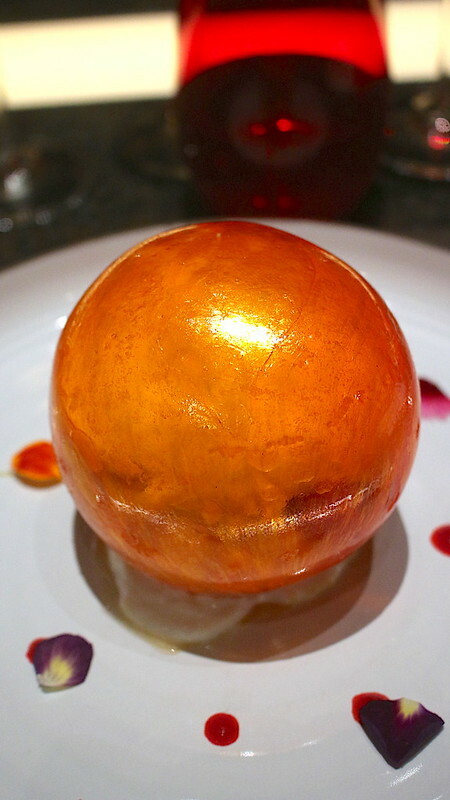 This shiny spherical sugar shell coddled raspberries, poached peaches with peach sorbet and vanilla foam. Probably the most dramatic peach melba you'll ever encounter! That wrapped up a lovely evening of British favourites given a gourmet update. It was fun to see how modern touches added playfulness to what might otherwise be staid classics. 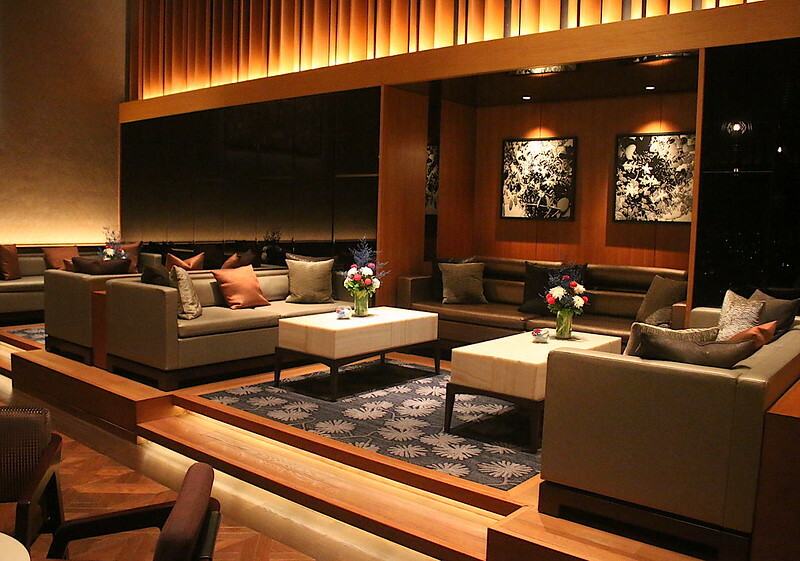 The View has a cosy sitting area for pre- or after-dinner drinks, where you can retreat to and continue your conversations. They also make interesting cocktails at the bar. Many thanks to Fairmont Jakarta for the invitation and hospitality.